Today I am all about self development and acquiring knowledge. I always feel like I am behind with my readings and with being aware of who I am and what I am best at. I am sure that most of you don’t have my struggles, but there is always space for some good tips on how to grasp the knowledge out there in a more efficient manner. 1. My first pick is Audible. Audible is the audio-book section of Amazon, and you, again, probably know it already. And if you know it, maybe you need a bit of reinforcing to dive in. I did, and it is fantastic, I went to reading (or better said, to listening) around 5 books every month, which is a major improvement for me. The nicest thing is that you have a free trial month in which you can take and return as many books as you like. I downloaded the IPhone app and when I returned the books I got to keep them on my phone. So I stocked up on several books before the month ended. Eventually, I started paying because it is so worth it for me. Keep in mind that you will need an Amazon account for this, which means giving them your banking details from the very beginning (even if they don’t charge you for the first month). 2. 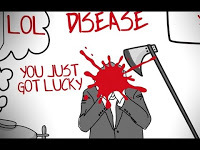 Another reading related pick for this week is the YouTube channel called FightMediocrity. This is a collection of short videos that summarize various non-fiction/self-development books by means of using animation. This is especially good if you want to see what they are all about without taking the time to actually read them. The videos will give you a good glimpse at the main ideas, so you would be able to decide knowledgeably if you should be buying the book. I personally liked the choice of readings and the simple yet poignant style of presentation. 3. Last, but not least, I have just discovered the Riso-Hudson Enneagram Type Indicator and the related analyses. 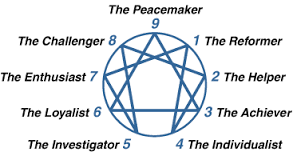 It is basically a Personality Test that will place you in one of the 9 personality types that the Enneagram consists of. After you take the test, you can then go on and read about the traits of your personality type and then, very interestingly, you will find a set of affirmations for each type (you will find them in the left column under “E-gram Transform”). The affirmations are extremely powerful as they pin down precisely the struggles and the blessings each personality has to deal with. There are also loads of readings available and various analyses such as those regarding emotions or compatibility. Have a look and let me know if it nailed you as well. Hope you liked my picks and that you will let me know about any of your choices. Don’t forget to say hello on our Facebook Page or on Twitter @socialmgeek. ← Sharing on Social Media?